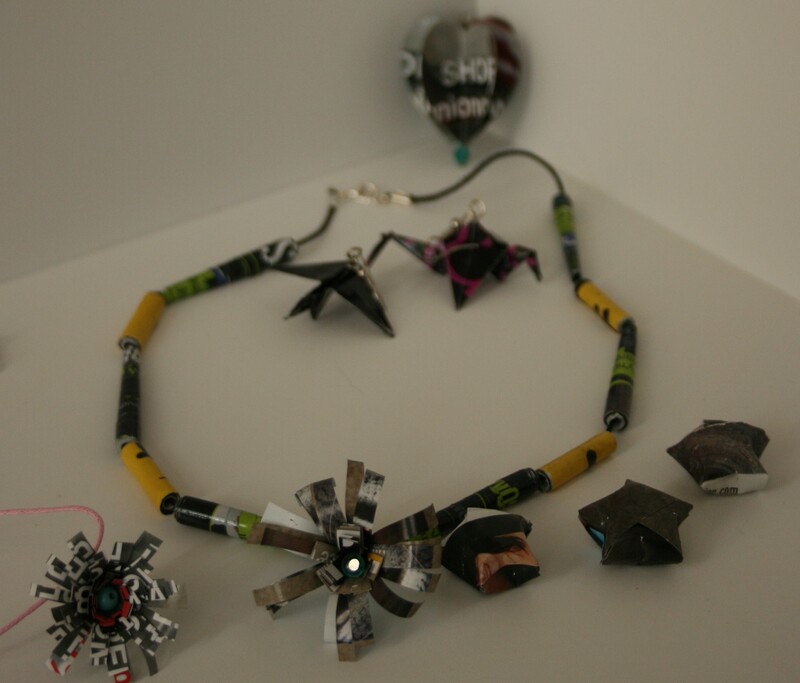 Paper Jewellery is a fun, easy way for everyone to explore a different media and try many different things. Glossy Magazines – It doesn’t matter what for but glossy magazines tend to give a better finish and are slightly thicker so easier to work with. Wood skewers – these are available in most supermarkets and her longer and thicker than a cocktail stick. The only issue is to be careful when doing this with children as the end can be sharp, I usually cut off the sharp end with a sharp pair of scissors. 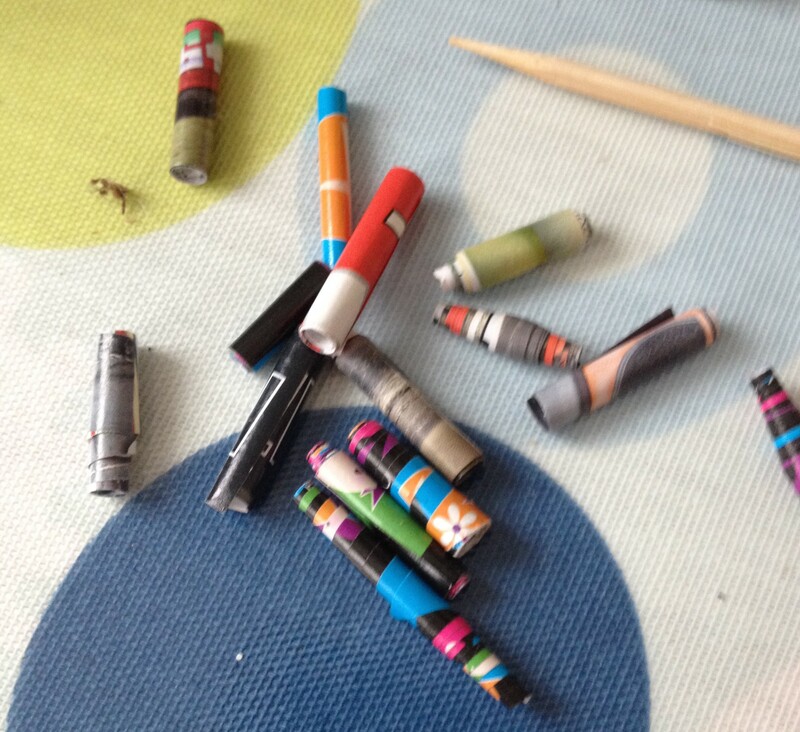 Pritt Stick – and some scrap paper or a surface that can be washed down afterwards. 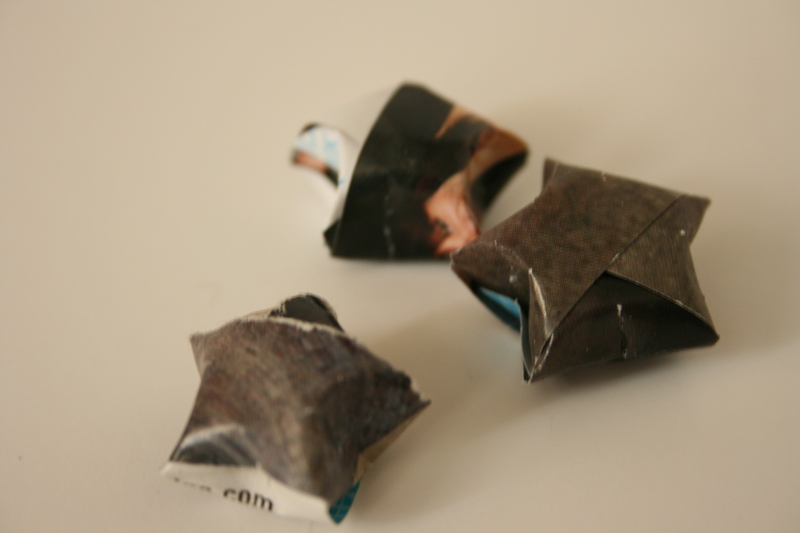 Scrap paper – any old paper, even pages from your magazines or a table that can be wiped clean when finished. Jewellery fastenings and fixings – This could be more complex specialised fixings or it could just be elastic or string in different colours. 1. 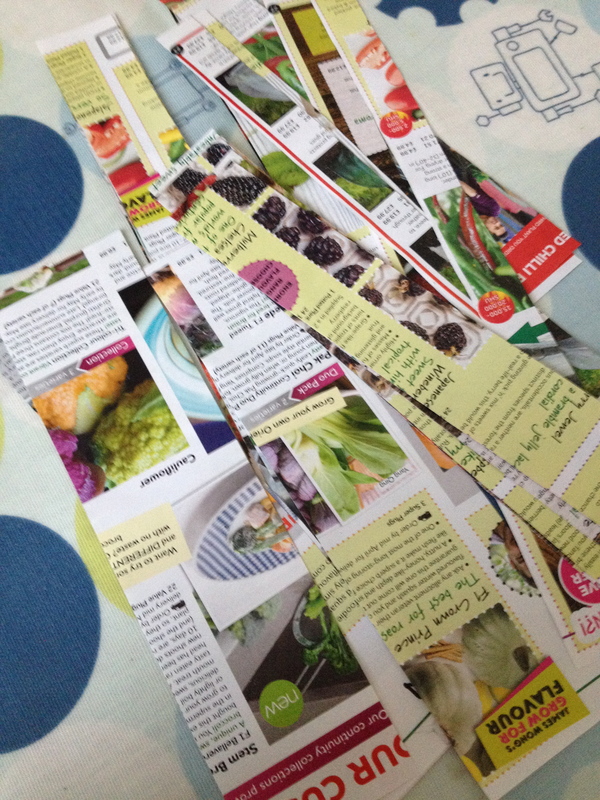 Cut up your magazine into strips, try to keep them as straight as possible and make a range of different widths. If you have a paper cutter this is an excellent job for it, meaning you can cut more than one sheet at a time and get straight, square cuts. 2. Start off just making some basic “square” beads to get used to the technique before you try anything more difficult. 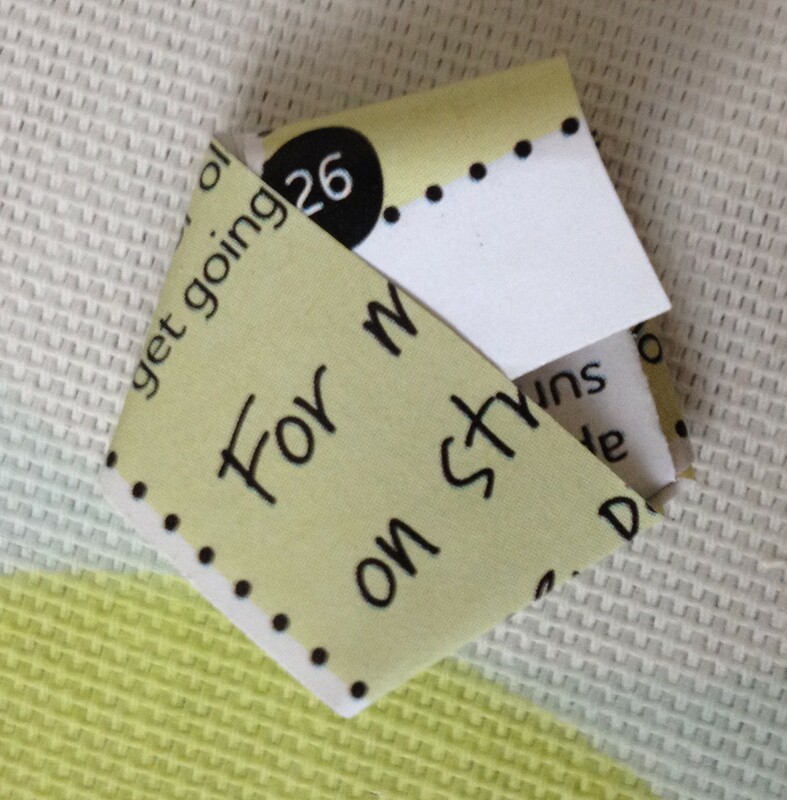 Lay one of the rectangular pieces of magazine on the scrap paper and glue one side apart from the first 2cm. 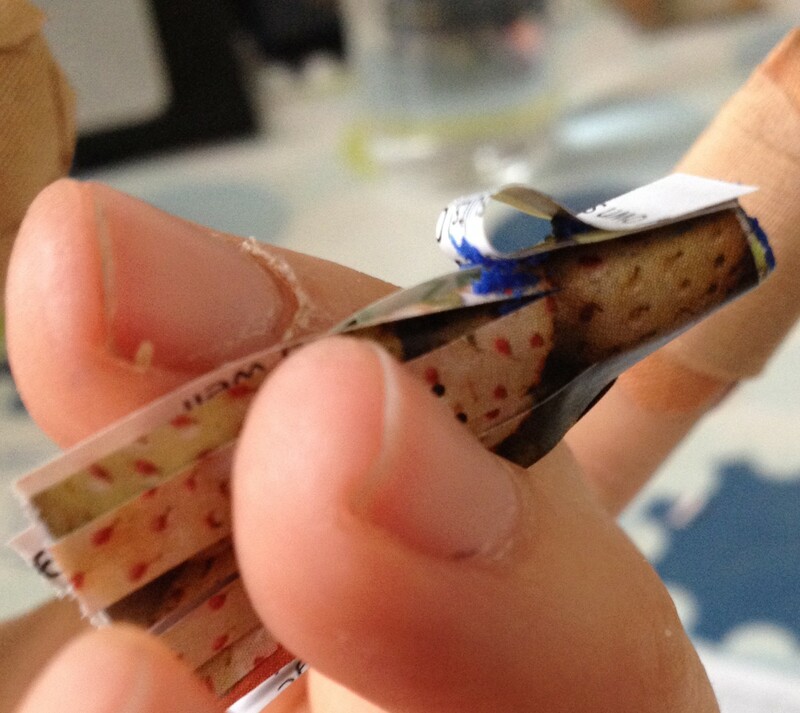 In the picture below the Pritt stick is blue so you can see where the glue is on the paper. 3. 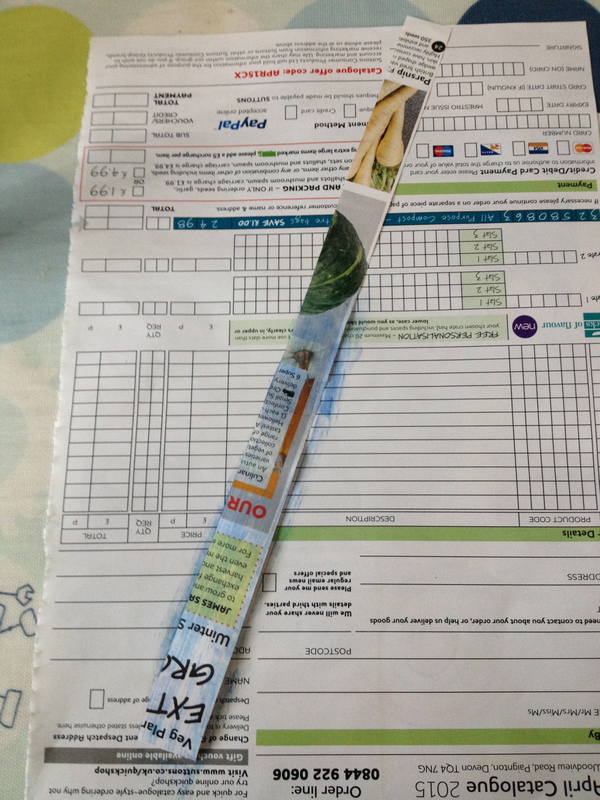 Start rolling the paper around the wooden skewer, try to keep it tight and the edges square as you go along, there is normally a little bit of movement on the paper but try to keep it tight and square as you go along. 4. Keep rolling until you reach the end of the paper, making sure that the end sticks down well. Slide gently off the skewer and leave to dry. 5. The next bead I would advise trying is thicker at one end than the other. Cut a diagonal line along the length of your paper rectangle leaving a section about 3cm on each end that is the full width, this will leave you with the pieces to make 2 beads that are wider at one end than the other. 6. Make the bead the same way, glue everything but the first 2cm (the piece that is at full thickness) and then roll onto the skewer, trying to keep the square edge inline. 7. Start experimenting with different shapes and sizes, have a look here at some examples, this is a PDF that can be downloaded or printed out. The only advice I would stick to is making sure that the first 3-4cm is always the full thickness of the bead. 8. If you want you beads to be a little tougher then they can be painted with either mod podge or a clear nail varnish. You can even use a glitter nail varnish or sprinkle some glitter into the wet glitter to give a more impressive finish to your beads. This best done with the beads threaded onto a cotton and suspended until they have all dried. 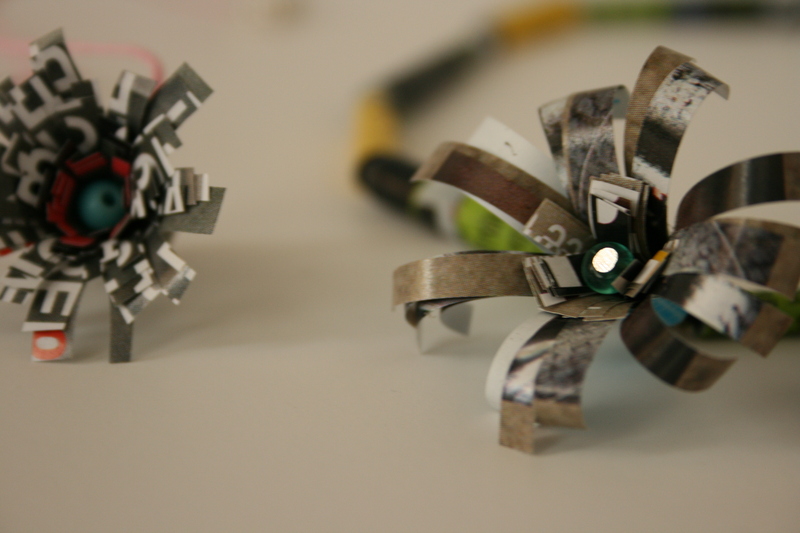 Paper flowers are again good way to add extra decoration to a necklace, bracelet or even earrings on a smaller scale. 1. 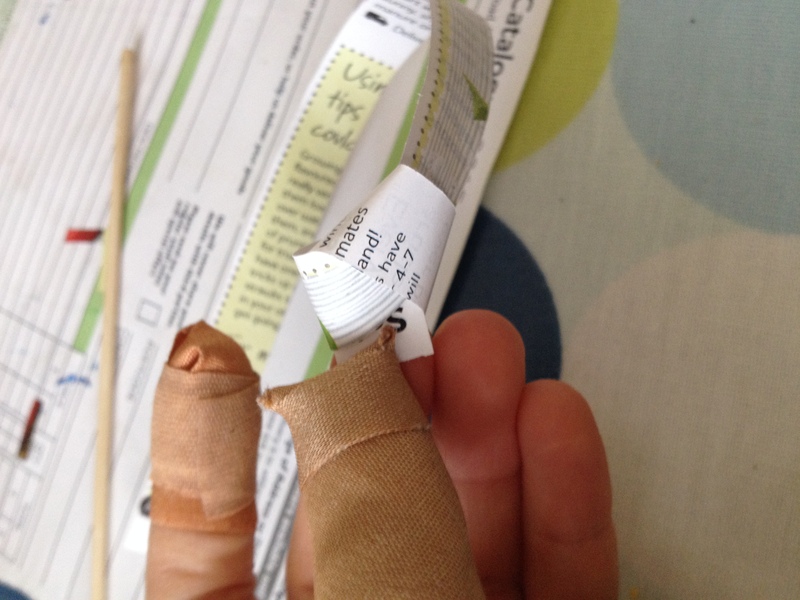 Take a thick piece of paper and cut off one quarter then cut smalls slits all along the length, leaving about 1cm along the longest side uncut. 2. Glue along the uncut length apart from the first 2cm at the thinest end. Then in the same way as the beads, start rolling it around the wooden skewer, making sure that the end is stuck down. 3. Cut the off cut quarter in half length ways, use one piece to make loop to be glued on the flower and then glue the second piece all the way around in the same direction as the flower had been wrapped, making sure that the loop stays in place. 4. Leave the flower to dry properly before opening up the petals until you have a nice open flower, a bead can be glued in the centre to help keep it open and give the flower a centre. Petals can either be folded back or curled around the skewer. Another nice addition to any piece of Jewellery ora decoration on anything else is a nice paper star. 1. 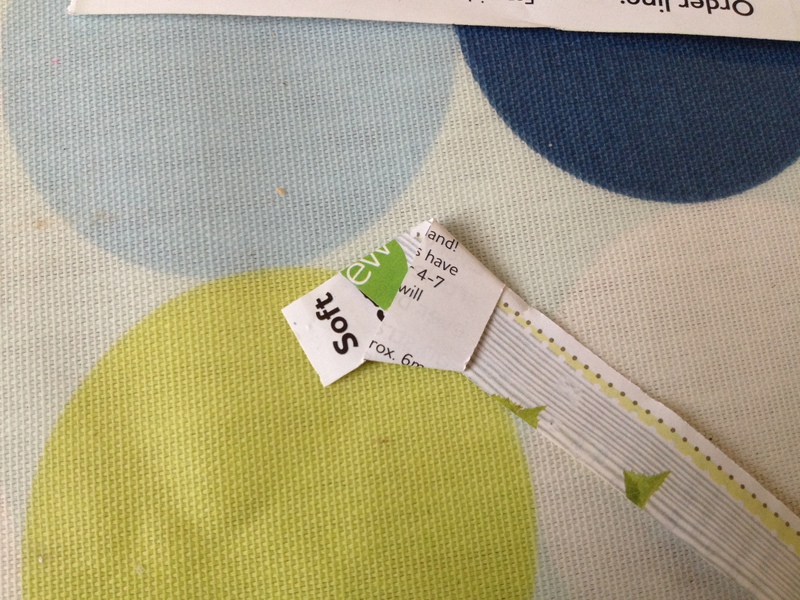 Cut a long but thin piece of magazine, if you are cutting a piece off an A4 sheet (on the long side approx. 30cm long) then your strip wants to be about 1cm wide. 4. Fold the small end over and tuck it into one of the existing pieces of paper and the start folding the long tail over and over the shape, try to thread it through the outer sheet of the knot on one or two occasions. Keep doing this until you reach the end of the long tail, making sure to tuck the tail in, adding a little flu to make sure it stays in place. 5. 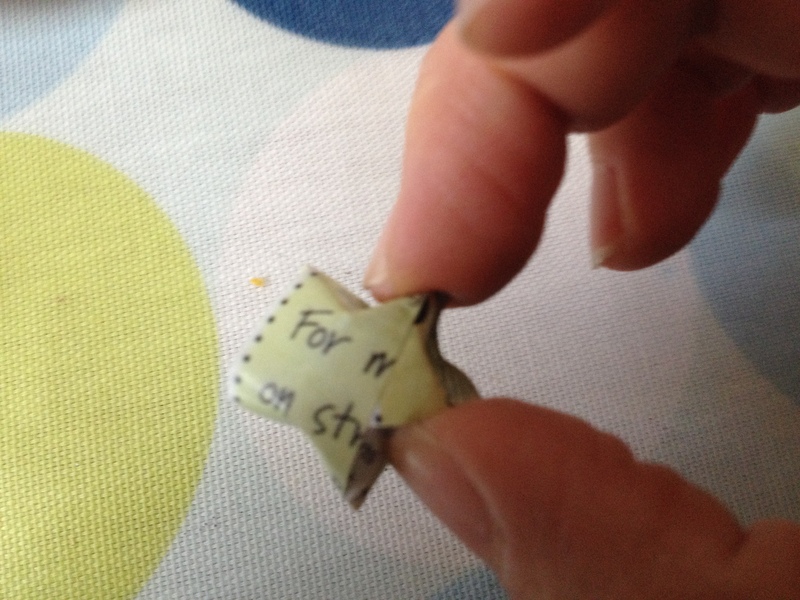 Take the dried star between two fingers and start pinching it to make it 3D, moving it around in your fingers until all 5 sides have been folded and the points formed.